My Lords, when did her Majesty’s Government last raise the issue of human rights with Iran? When they were in full diplomatic relations with Iran, did they discuss the execution of people for their sexual orientation, of others, such as the Baha’is and Christians, for changing their religion, and of women, who are regularly publicly executed for so-called social offences? Is this not something that we should at least be making a démarche about and certainly trying to draw the international community into full unison, not just on the security questions, which we regularly raise, but on these profoundly important human rights issue too? Lord Howell of Guildford (Minister of State, Foreign and Commonwealth Office; Conservative)The answer to the first part of the noble Lord’s question is almost continuously. However, we are constrained by the fact that our diplomatic relations with Iran are now at a very low level. As he knows, there are no ambassadors between the two countries because our embassy was attacked and had to be evacuated. So far we have not got any agreement from Tehran to our request for a protecting power to look after our interests and maintain contacts. However, that does not stop us almost continuously working with the UN special rapporteur to keep this kind of horror on the UN agenda and to keep up the international pressure in every way that we can. Why is the world so silent in face of Tehran’s appalling human rights record? As much of the world’s attention is focused on Iran’s nuclear program, the regime’s leaders have continued their reign of terror on Iranian dissidents. And the world has been cravenly silent. Iran has achieved the dubious status of ranking only second to China for the number of people it has executed. Now it has issued a death sentence on Gholamreza Khosravi Savajani, a supporter of the principal opposition resistance group, the Peoples Mojahedin Organization of Iran (PMOI/MEK). 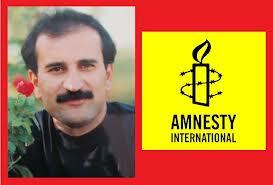 According to Amnesty International Khoshravi is scheduled to be executed on September 10. This sentence not only continues Iran’s policy of bloody repression, but as unlikely and ironic as it might first appear, it is legitimated by the United States and their misguided policy towards the PMOI. The case of Gholamreza Khosravi is a very telling story of justice, the mullahs’ style. A political prisoner in the 1980’s, he was arrested in Kerman Province (in Southern Iran) in 2008 by the Ministry of Intelligence and was sentenced to six years’ of imprisonment, three years of which were suspended. He has reportedly spent over 40 months in solitary confinement. He was charged with allegedly providing support to Simay Azadi, a pro-PMOI TV outside of Iran. Following an appeal by the Ministry of Intelligence, the three-year suspended sentence was implemented, bringing his total sentence to six years actual imprisonment. During this period Khosravi was reportedly subject to torture and extreme duress while kept in solitary confinement. The regime were determined to illicit a televised, self-incriminating confession. However, he steadfastly refused to cooperate with authorities in this manner. As is typical of Iran’s farcical judicial system, Khosravi was denied due process or any semblance of a fair trial. Following two retrials, Khosravi was sentenced to death after the conviction of a fresh charge of “enmity against God” (moharebeh), for his alleged ties to the PMOI, which the Supreme Court confirmed on April 21st, 2012. According to Amnesty International, Gholamreza Khosravi, aged 50, was told in July 2012 that his death sentence will be implemented on September 10. That is about two weeks before the mullahs’ firebrand President, Mahmoud Ahmadinejad is about to address the UN General Assembly. Facing growing regional and international isolation, a restive population, and crippling sanctions, the Iranian regime has resorted to extreme measures to quell any hint of dissent at home, in particular towards the PMOI, the only viable organized opposition. The Iranian authorities continue the extensive use of the death penalty, with over 600 executions reported in the country from official and unofficial sources in 2011. Since the 2009 uprising, the regime has arrested scores of individuals affiliated with the PMOI, charging each with “moharbeh” and sentencing them to death. That is appalling by any civilized standards. But in a strange twist of irony, the Iranian regime has repeatedly pointed to the U.S. State Department’s classification of the PMOI/MEk as a terrorist organization to justify the execution of those linked with the group. The State Department, facing a court ordered deadline to review the designation of the group, has continued to play politics with the review, much to the detriment of those whose lives hang in the balance. Seemingly, the PMOI has been denied a fair trial both in Iran and in the United States. To date, the State Department has not presented any evidence to warrant the continued enlistment of the PMOI, and has ignored court rulings and evaded judicial inquiry. Whether in Tehran or in Washington, it appears the PMOI has been the victim of a miscarriage of justice. It might be too much to hope that the clerical regime will amend its ways but where here are the sons and daughters of Thomas Jefferson – who held that tyranny gains a foothold when we shrink into studied silence? That silence should come to an end at once and Iran’s brave dissidents – seeking to create their own “ land of the free” – should be protected, not marginalized, by the unwarranted terror tag which day by day plays in to the hands of the authors of so much misery, suffering and fear. The inhuman clerical regime hanged a prisoner in public in Tehran on September 13. Previously a 34 years- old prisoner was hanged in public in Shahroud on September 12 . A group of 11 prisoners were hanged collectively in Tehran’s Evin prison on September 8. 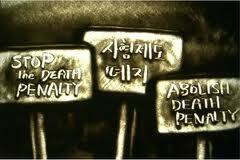 The number of executions only for the period of September 8 to September 11 has reached to 13. Unprecedented intensification of internal and international crisis, particularly economic bankruptcy that has resulted in crippling inflation on Iranians, has intensified the Iranian regime’s fear of growing public anger. The fragile clerical regime, particularly at a time when the dictator of Syria, its main regional ally is on the verge of collapse, has resorted to increased suppression and death penalty in order to prolong its life even for a short period. The Iranian Resistance calls on the international community, especially human rights organizations to take immediate and decisive action to stop the brutal repression in Iran, especially the brutal death penalty.